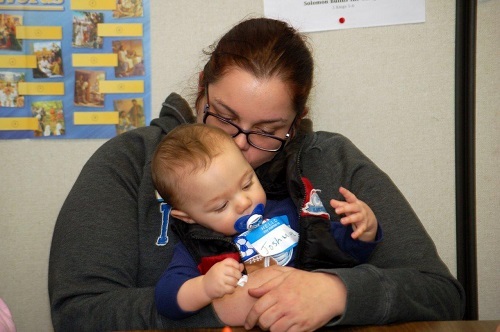 The grant funds so graciously provided to the Centers for Healthy Families will help ensure that free programs such as the successful Nurturing Parenting Program® will continue to be offered to assist at-risk parents and caregivers of children under five. Thanks be to God, the centers can continue to share the love of Christ through interactions with the participants. Acts 2 Enterprise (A2E) is an ongoing ministry that impacts the lives of people in Detroit daily. A2E provides a variety of outreach ministries as part of its overall outreach, each designed to impact residents of the city whom are served through A2E. Among the many aspects of outreach, two that were prominent during the past few months were the Urban Institute hosted by A2E Director Rev. Christopher Bodley, and the three A2E Sports Camps/VBS programs that were held. The Urban Institute is a multi-day conference designed to build and equip other leaders to serve the city of Detroit and other urban centers; while the Sports Camp/VBS program, a total of three week-long camps, involves several hundred children by teaching various sports skills, while providing a Vacation Bible School atmosphere to teach them about Jesus. The Good News is shared through every component of A2E by either Pastor Bodley directly, or by one of the many volunteers (Urban Missionaries) who serve alongside of him. This practice applies to both children and adult outreach ministries. In September, the Urban Institute hosted over 50 attendees who learned under the theme “Transformed to Transform”. As People of Hope, they are thankful to have been chosen by God to be transformed by His grace. Attendees focused on the Biblical principles of spiritual formation, the process of transformation, and how they become catalysts of transformation in their spheres of influence. 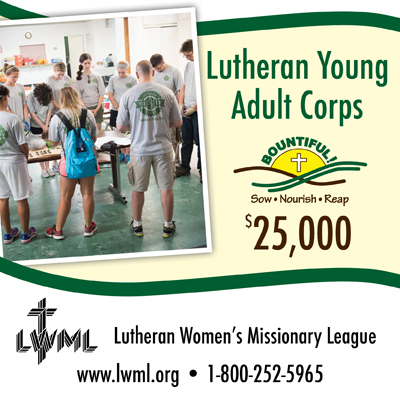 A grant of $50,000 was awarded to Mission Opportunities Short Term (MOST) Ministries at the 2015 LWML Convention. 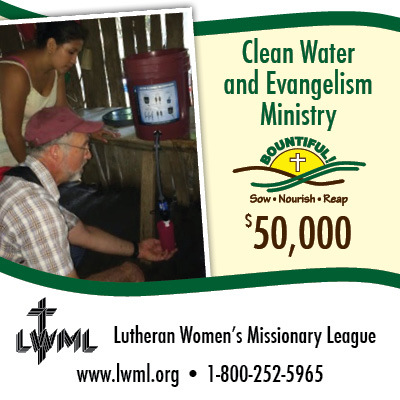 As of now, $25,000 has been disbursed making it possible for them to send out teams to help others with their physical need of receiving clean water. 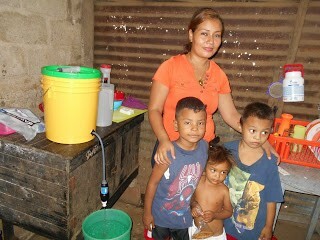 A Nicaraguan family very thankful for their clean water. 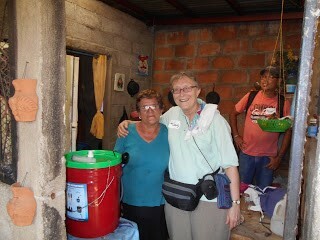 Pictured is Sandy Hardies, former LWML EC member, in Nicaragua working with MOST Ministries. 105 Sawyer Water Filters to be used for the first quarter of 2017. The grant money has allowed the mission team to work with several local pastors who live and work in the La Cartonera and Maranonal communities. Sharing the love of Jesus is always the end goal and remains the reason for MOST Ministries to do what they do. 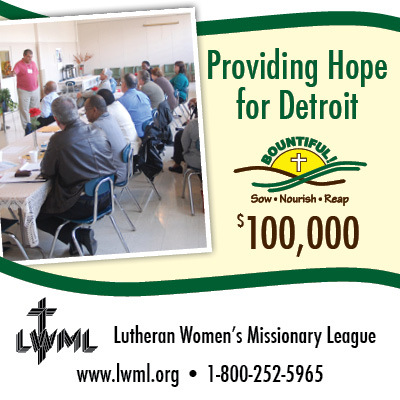 MOST Ministries is thankful for the LWML’s support and prayers. 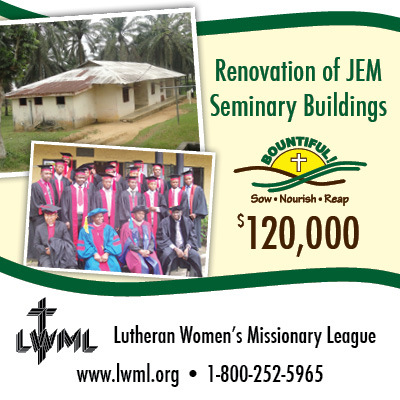 President Patti and VP of Gospel Outreach Shelley attended chapel at the LCMS International Center and presented checks for Young Adult Corps and Renovation of JEM Seminary Buildings — Nigeria, fully funding grants #17 and #4.
view the individual mission grant page here. 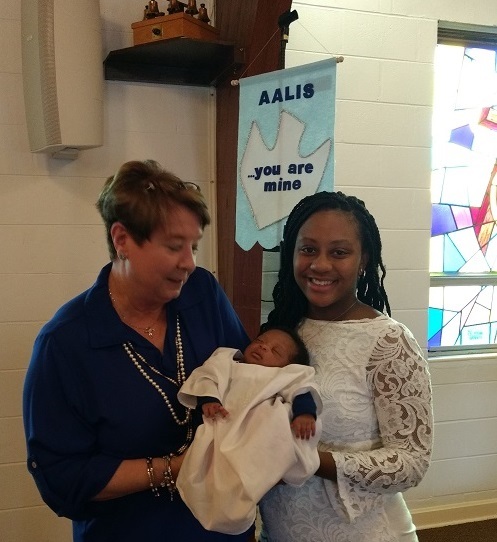 … to provide safe shelter to at risk pregnant women and their babies. Our residents also received life skills classes and mental health counseling to improve their ability to care for their children. 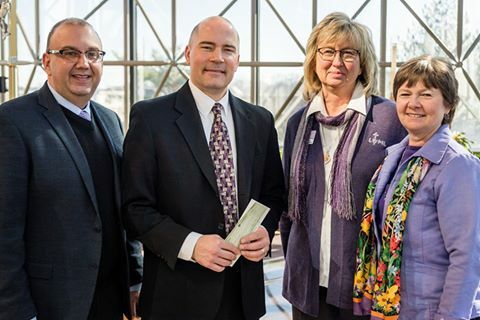 The grant was used to cover housing expenses including mortgage costs, food, utilities, resident counseling, and supplies for mothers and babies. 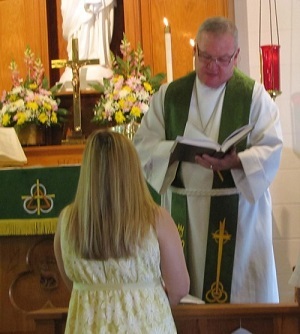 Danielle came to Redeeming Life completely homeless and abandoned by her boyfriend. While here, she was able to get employment, save enough money to purchase a small car, and begin putting her life back together. 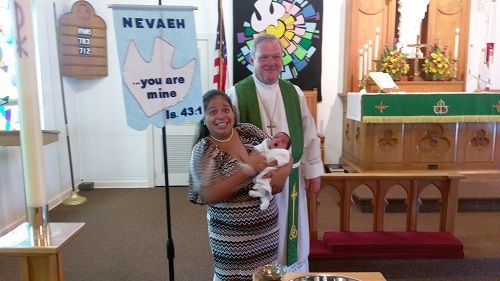 Danielle was confirmed in the faith and her dear baby was baptized. Many of our residents feel unlovable and rejected. We minister to them and help them see how very valuable they are to God. 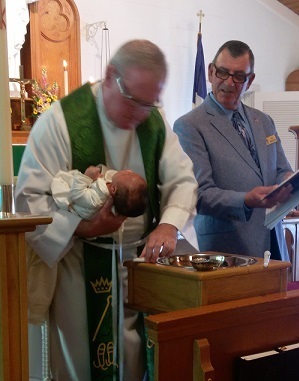 By helping us meet their physical needs, we have an opportunity to share the lifesaving Gospel, and whenever possible, witness the Holy Baptism of their children. Watch this video from Redeeming Life Maternity Home, and hear one resident's story. LCMS Disaster Response on the scene with volunteers in Perryville, MO, making use of a Disaster Response Trailer that was made possible through an LWML Mission Grant.